Our kids LOVE their blankies!! Whether we’re reading, watching a movie, playing board games, or just relaxing, snuggling is definitely a priority at our house. 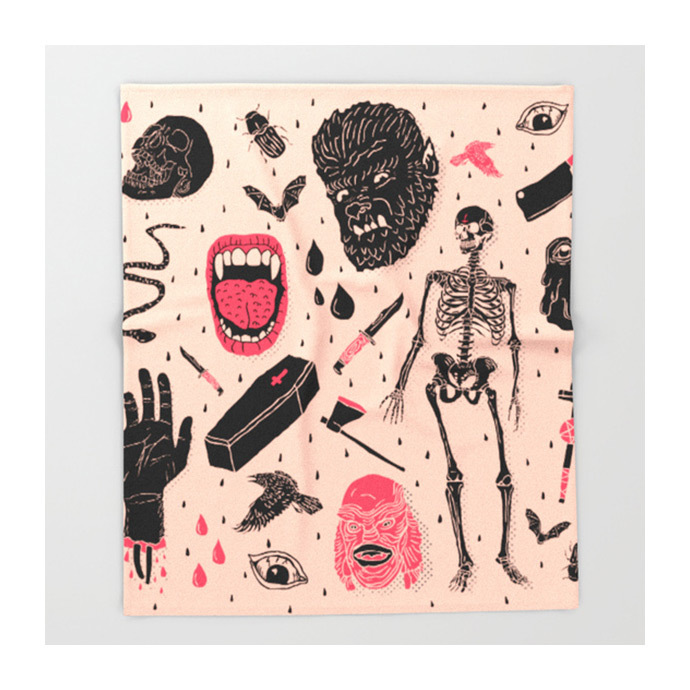 Society6 has pages and pages of amazing throw blankets to choose from, so we had a really tough time picking just a few of our favorites to share with you today. This post isn’t sponsored, we just want to spread the love for these crazy cool blankets! Awesome design AND sherpa fleece? Yes please! We love using accessories to add a pop of color or an unexpected design into a space. 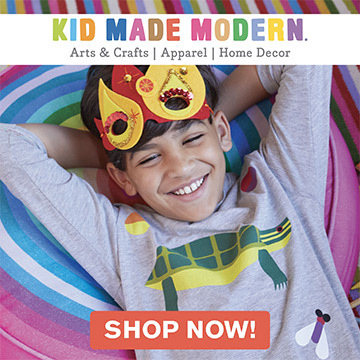 Living rooms, kids’ bedrooms, and playrooms could all benefit from an extra blankie or two. ;) Just as an FYI, these blankets haven’t been safety tested for kiddos under age 5, so be sure to keep that in mind if that’s a concern for you. We’ve listed twelve of our ultimate favorites below – we dare you to pick just one! 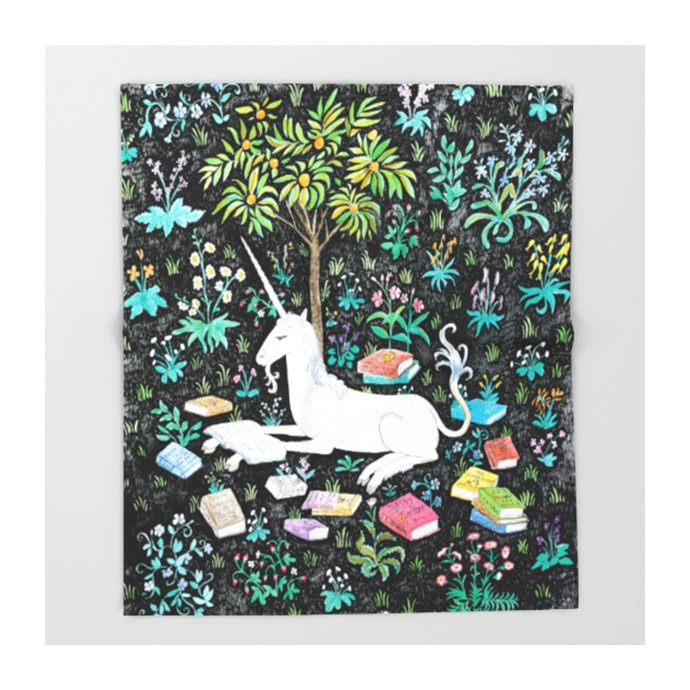 The Unicorn is Reading – with unicorns trending all over the place these days, why not invite this playful guy into your home? Designed by Steph Rao, this playful yet classic print by was inspired by “The Unicorn in Captivity” tapestry from the Middle Ages. Gangsta Rap Made Me Do It – A valid excuse? Probably not, but that’s up to you! 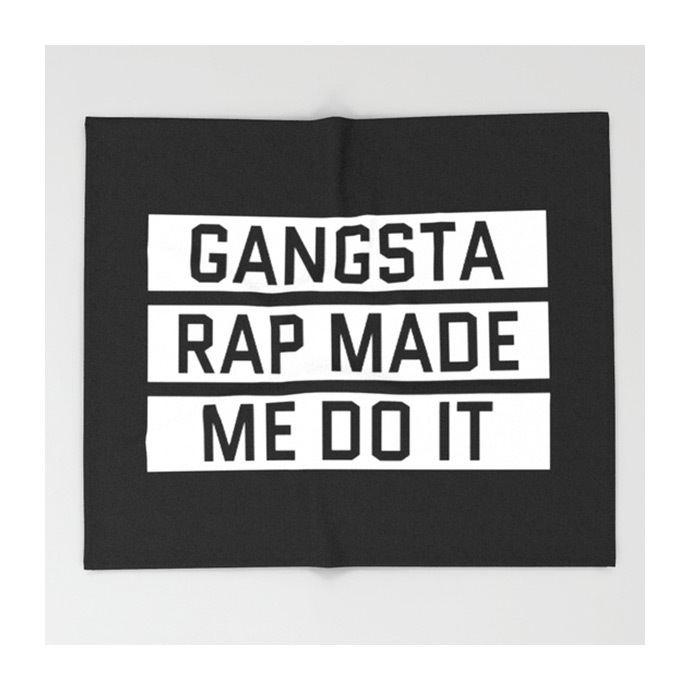 As Ice Cube sang almost 10 years ago, “Gangsta rap made me do it.” This super simple black and white blanket would be perfect in a room that already has a bunch of color going on. P.S. This is available in an alternate color way too! Constellations – Twinkle twinkle little star! 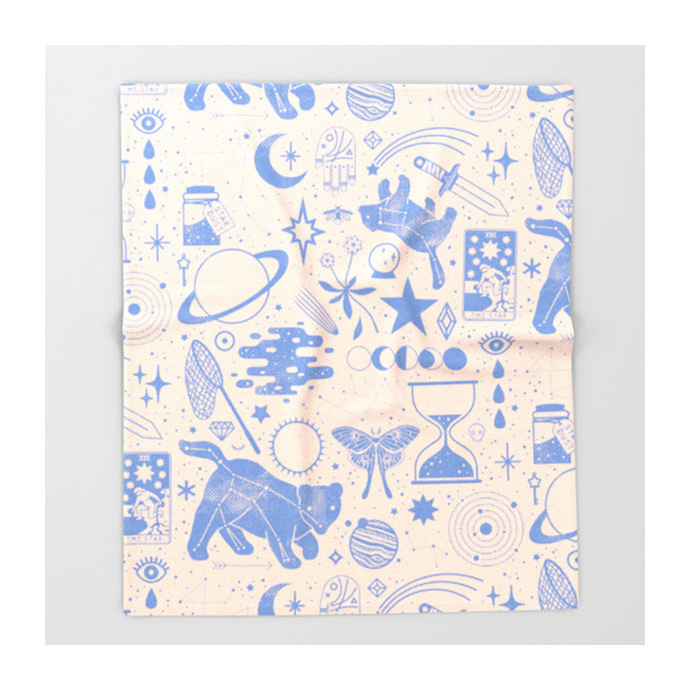 This water color meets constellation design is the ultimate blankie for building pillow forts. Just imagine laying down in your own fort and staring up at this starry night sky! 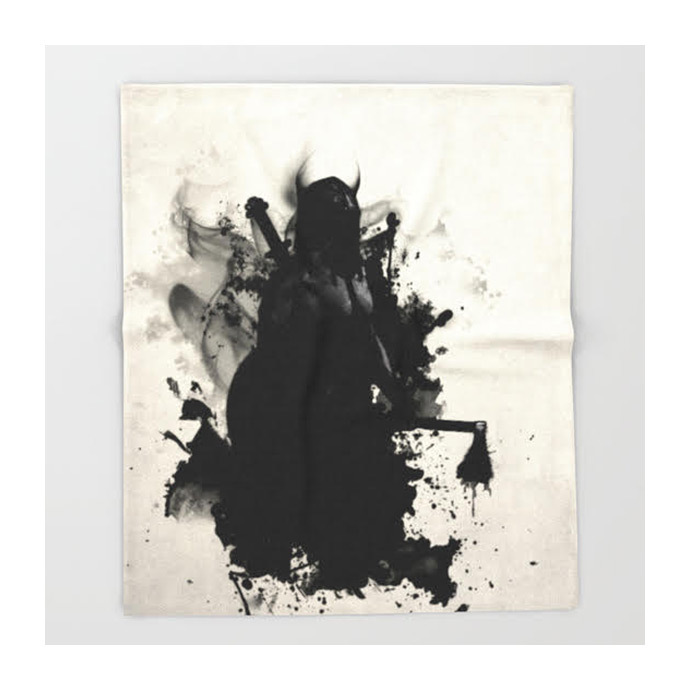 Viking – Our boys would go nuts for this viking-inspired blanket, but when we look at it we can’t help but be reminded art by Robert Motherwell. The artist behind this design is Nicklas Gustafson of Sweden – he first drew a bearded viking warrior and then digitally added ghostly spatter effects on top for what he calls an “other worldly feel”. Cassette Classic – You’ve probably noticed by now that here at Handmade Charlotte we love a good cassette tape. 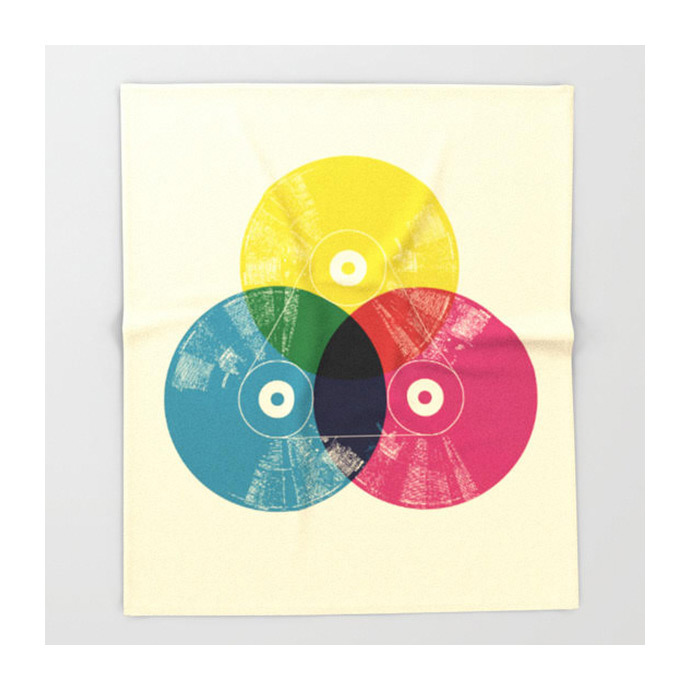 This blankie is an awesome throwback and the perfect touch for a music-lovers bedroom. 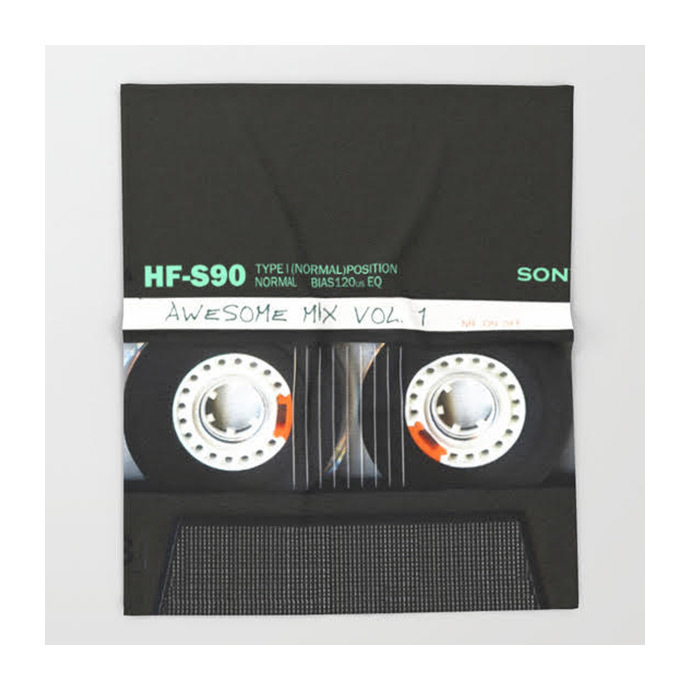 The only thing we’re left wondering is what music was recorded onto this “Awesome Mix Vol. 1”!! 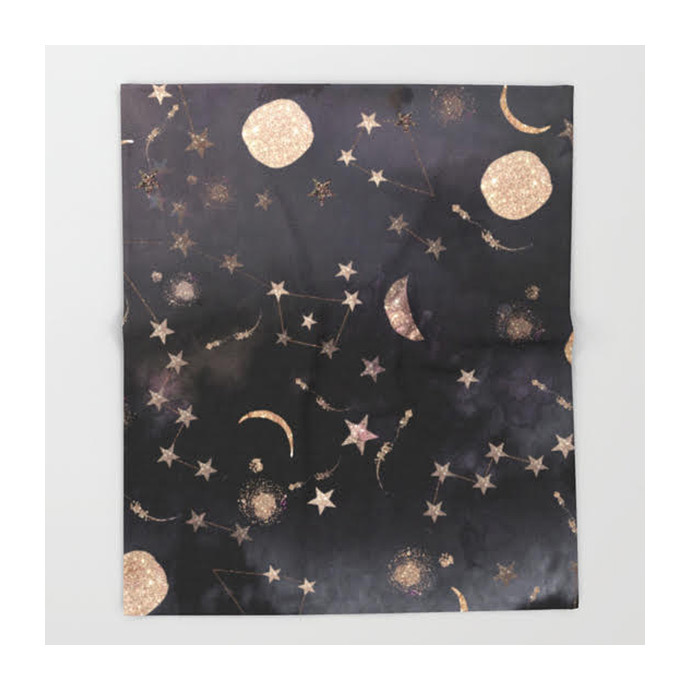 Collecting the Stars – Artist Camille Chew describes this blanket as “a celestial pattern in dreamy, cotton candy pastels” and we couldn’t have put it better ourselves! We’re betting you could cuddle up in this blanket for ages and spot a new detail every time. A game of I Spy, anyone? 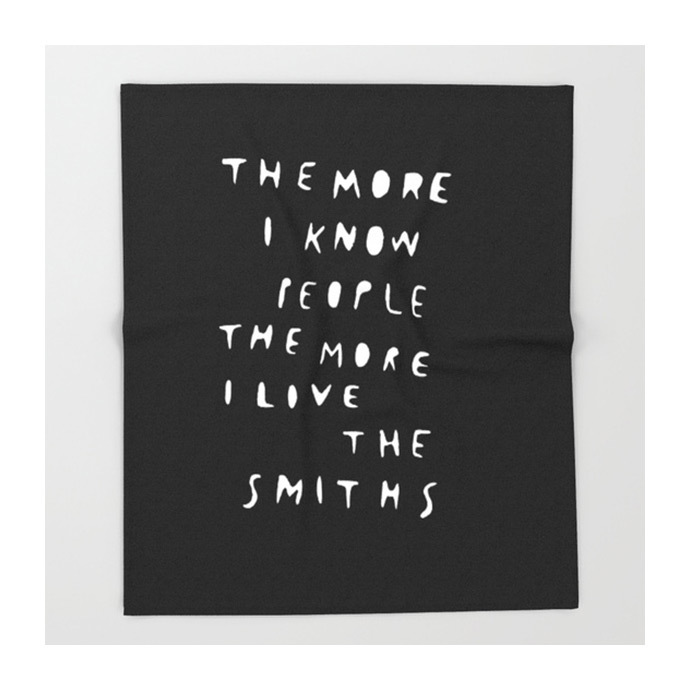 The Smiths – Another awesome blanket for the music-lover in your life! As both Smiths fans and typography nerds, we love the simple handwritten bubble letters featured on this bold black blanket. Music is the Colors of Life – CMYK meets vintage vinyl in this retro-inspired blankie; artists, musicians, and color theory lovers rejoice! We love that this design uses bright, bold colors in a way that isn’t childish one bit. The perfect compromise! Sleeping Cats – Here kitty kitty kitty! 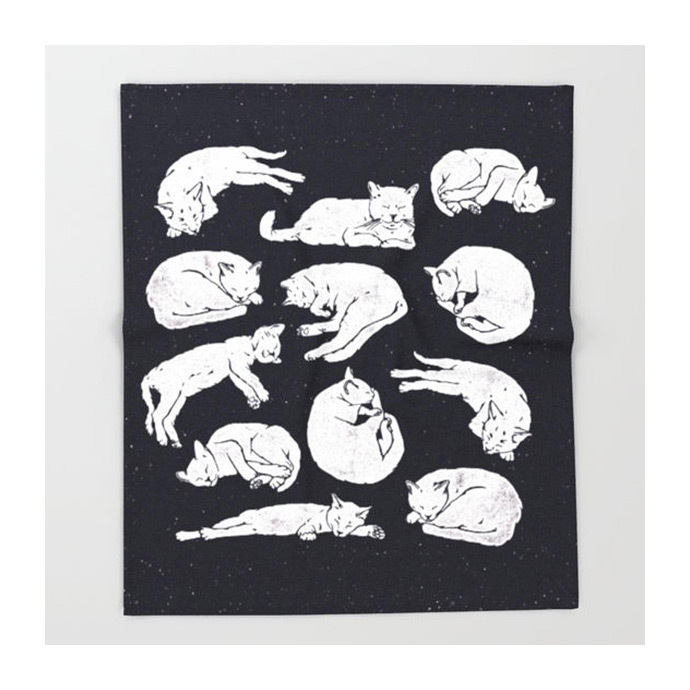 Cat ladies (and men, and kids … ) will go crazy for this neat blankie. Just looking at this design makes us want to take a long cat nap! Whole Lotta Horror – BOO! Artist Josh Ln describes his design as inspired by the dark arts. Older kids that are fans of horror movies and everything supernatural are sure to appreciate this one! 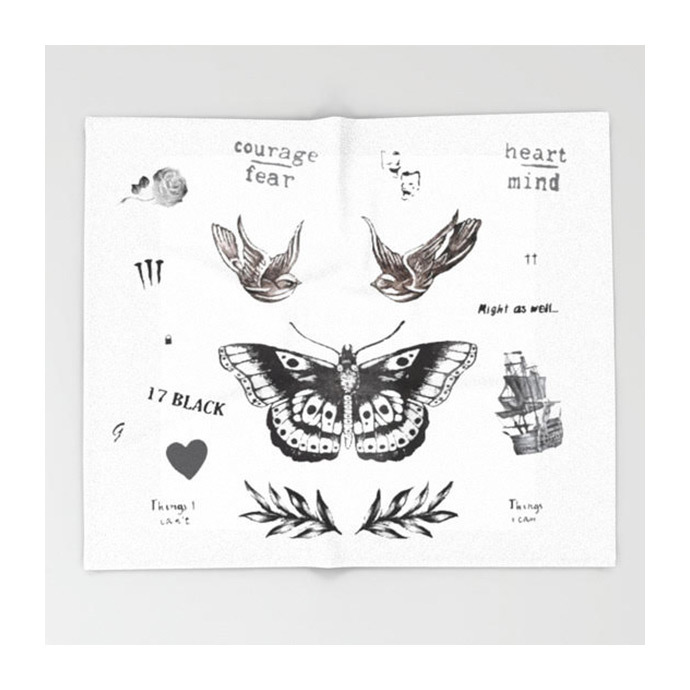 Tattoo a la Harry – This simple black and white blanket features an all-over design of classic, nautical tattoos. One Direction superfans may recognize this specific collection of tattoos as belonging to frontman Harry Styles, but you don’t need to be a fan of 1D to love this blanket’s awesome design! 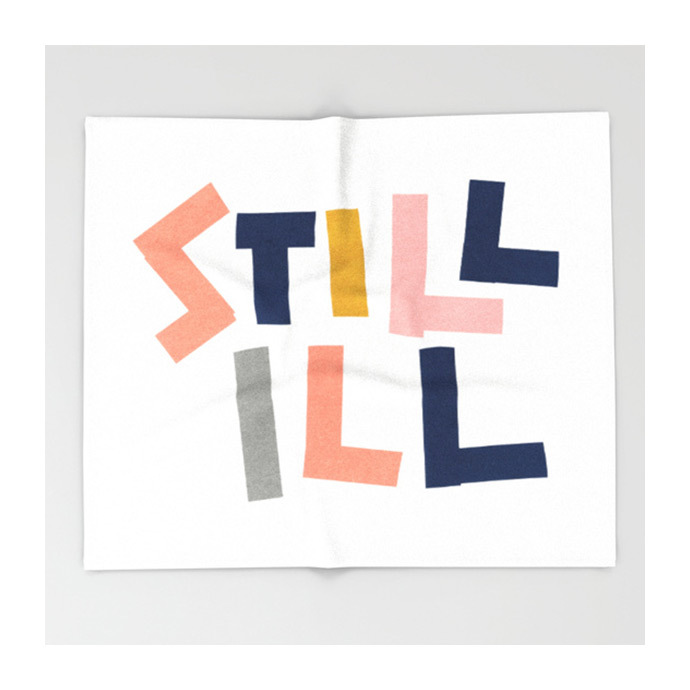 Still Ill – We love the modern shapes and color scheme that Anna Dorfman chose for this design and we’d bet the Beastie Boys would approve too! No need to save this blanket for sick day – it’s great anytime! !